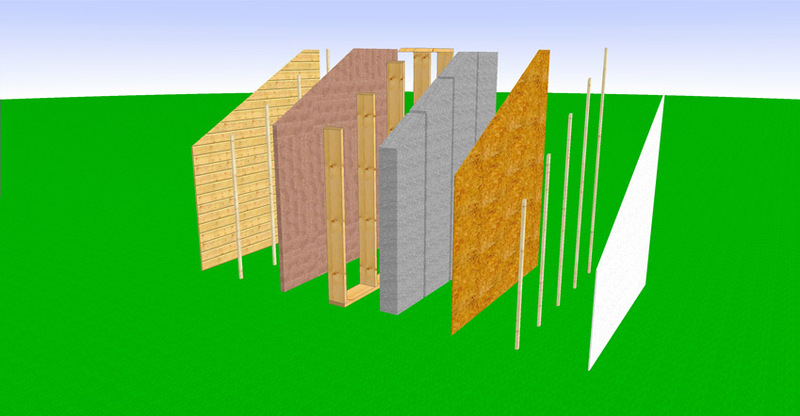 Why building with wood ? You use a renewable natural resource necessitating little energy to be transformed. 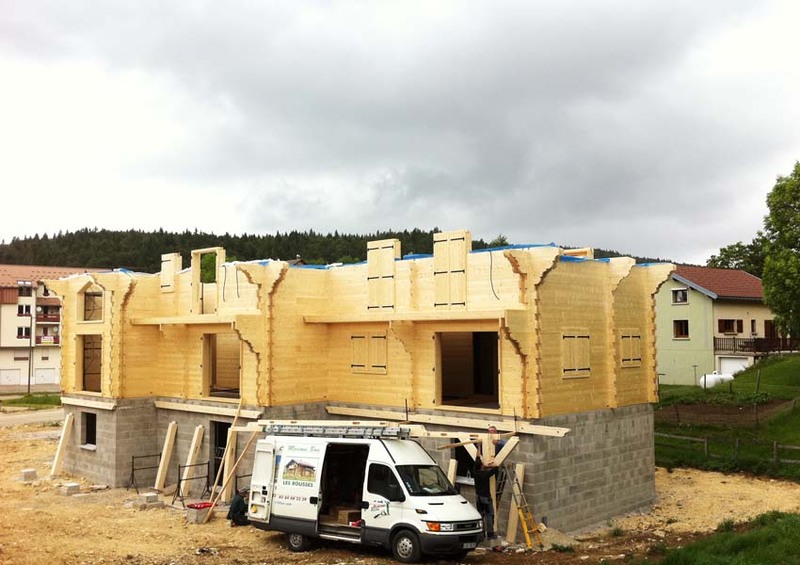 Choosing a wooden house is contributing to the fight against greenhouse effect. 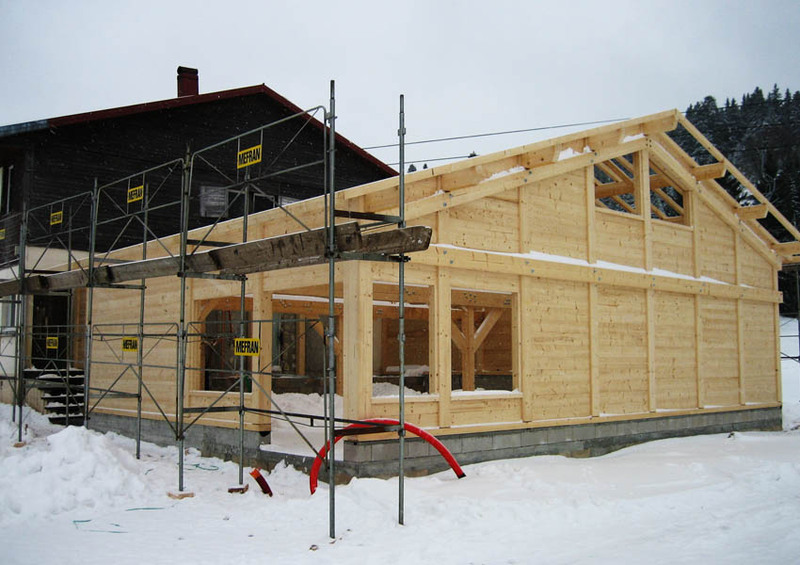 Building with wood is good for moraleBy doing so, you create a warm environment where it feels good to live. Wood naturally provides a feeling of comfort and well-being. 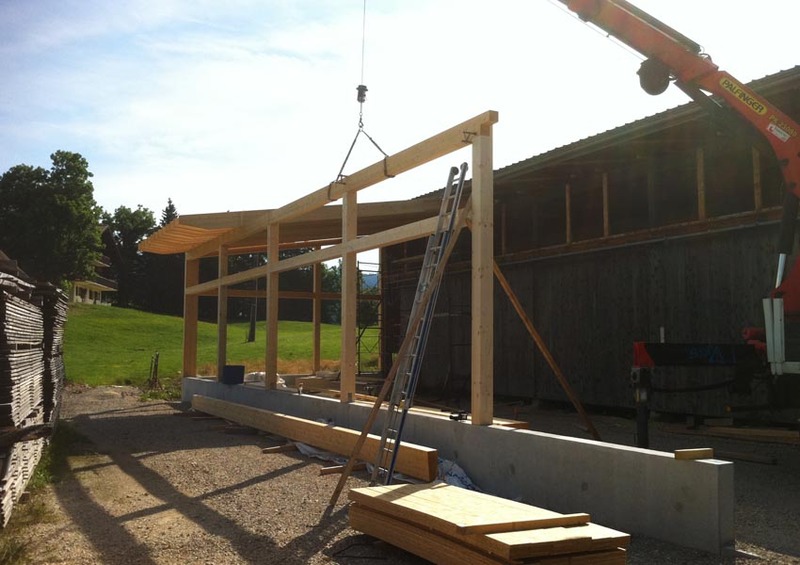 Prefabricated in the workshop, assembled faster, it’s also a neat and dry building site in usually less than 6 months. A housing that makes you save a lot on heating. You durably work for the future. 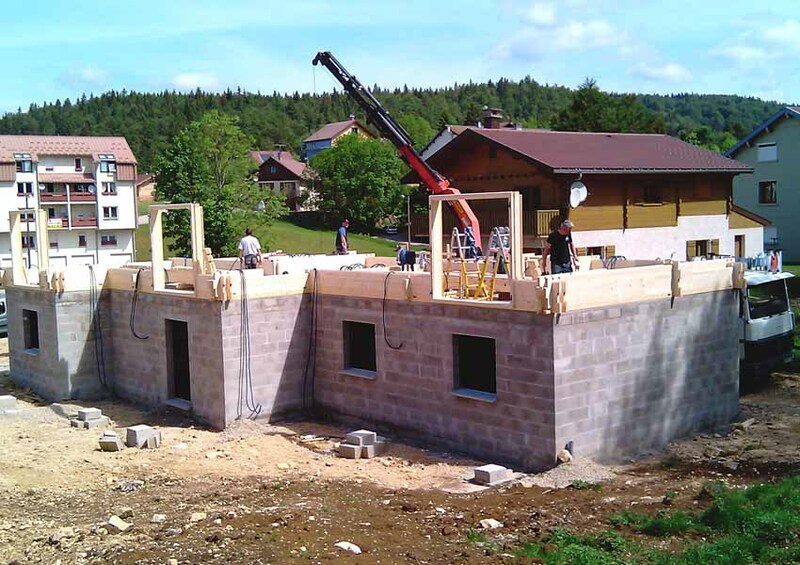 A house that you can keep developing at a lower cost. 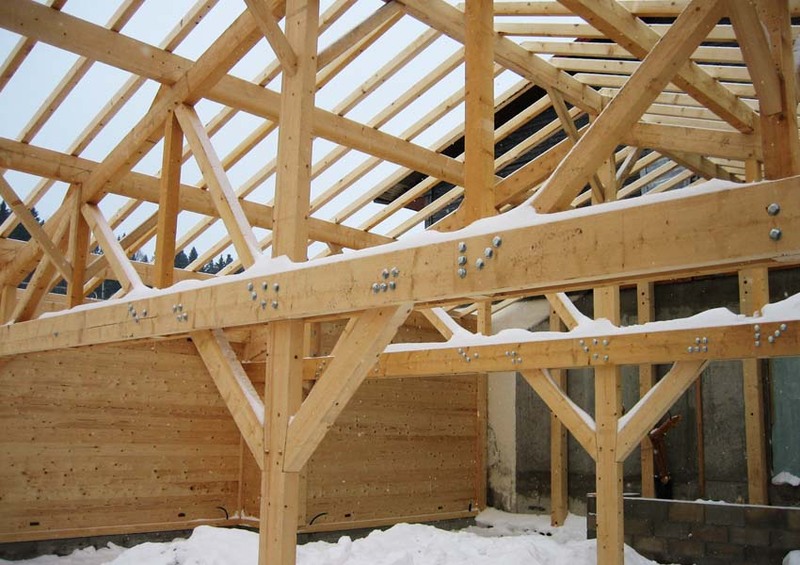 It is the oldest technique for wood construction. As its name indicates, this technique consists in using long horizontal wood components arranged one above the other. 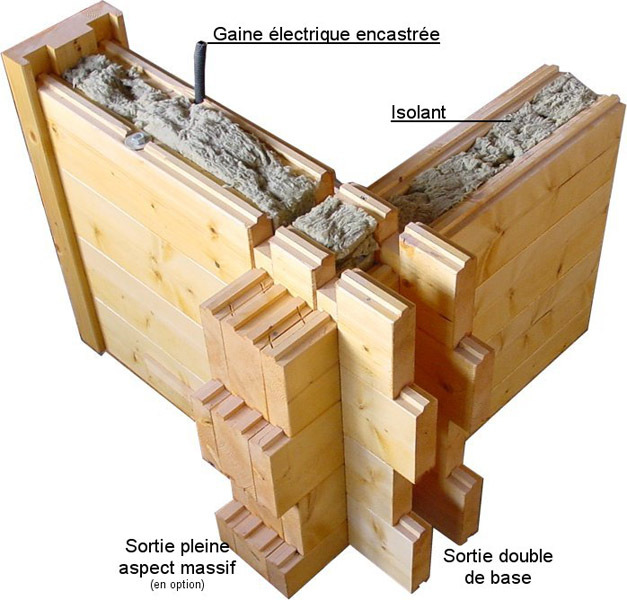 For a long time, this technique was used to build chalets. 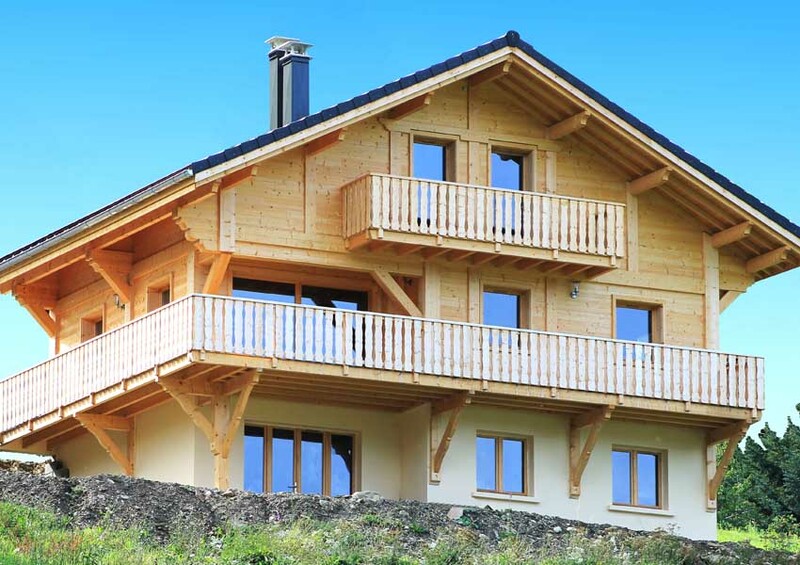 However, for several years now, stacked solid wood construction allows a more modern architecture. 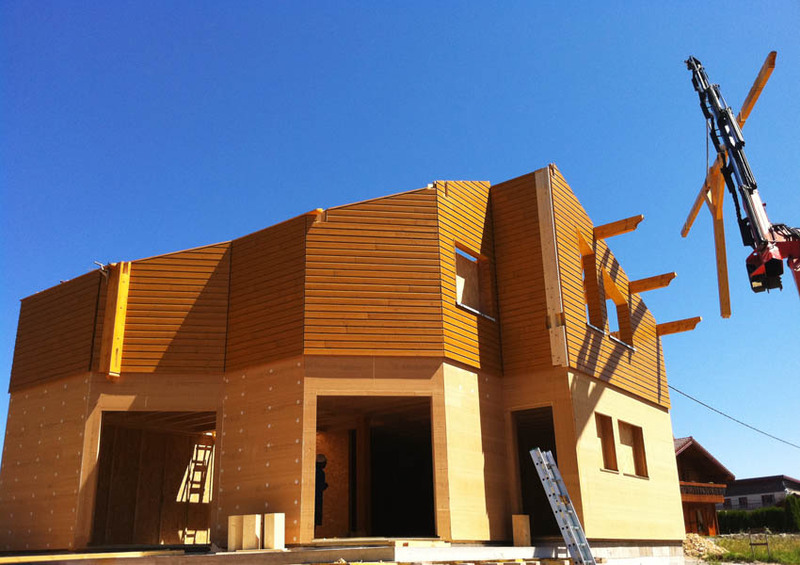 This makes possible the construction of modern houses by playing with volumes, angles, glazed surfaces or colours. Traditionally, log is self-sufficient. 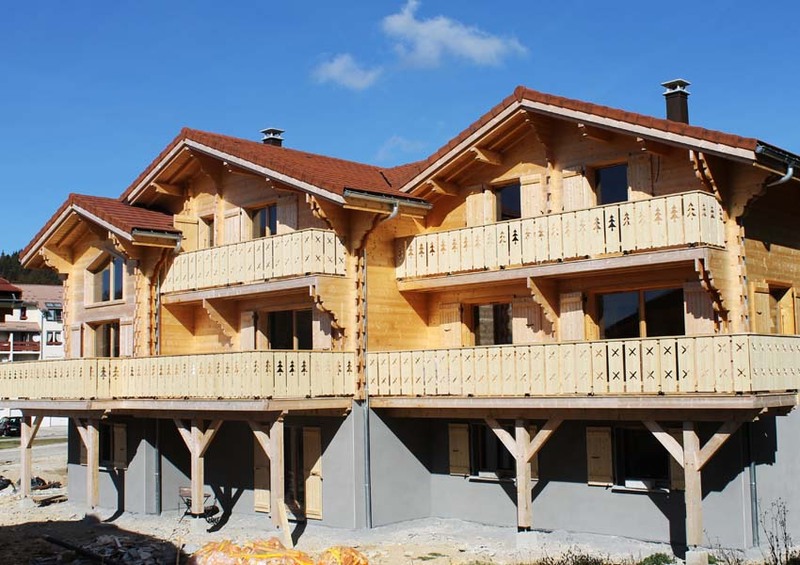 But our experience since 1954 in this Haut-Jura with cold winters rapidly imposed to double this log with a complementary insulation to gain in comfort and quality of life. 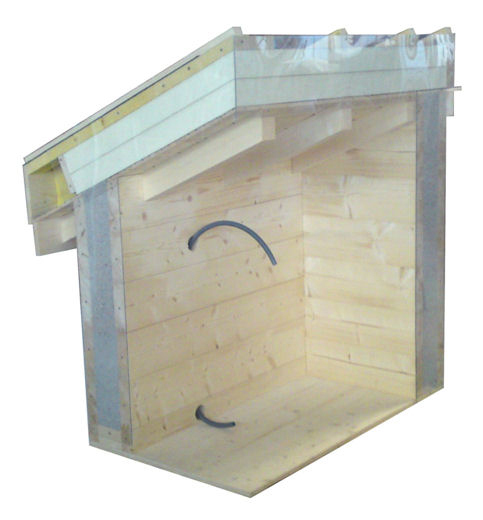 Since the 90’s, mindful of bringing more and more quality in your houses, we have developed a DOUBLE-LOG system. It consists in having a double log wall on the outer periphery of the house with the void in-between the two logs filled with insulation. 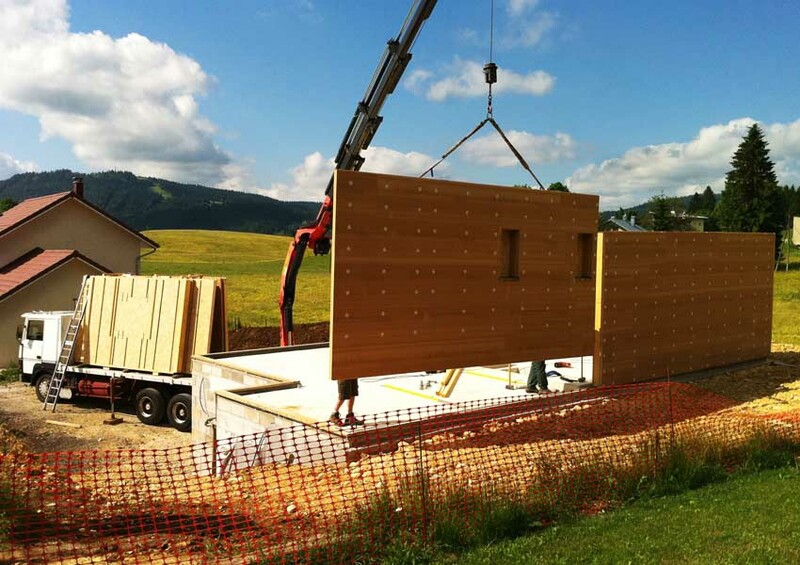 The wooden frame is an evolution of the half-timber technique: the frame of the house is also composed of studs and wooden plates of a smaller section not much spaced, forming a frame on which wood based panels are fixed to ensure an overall rigidity. 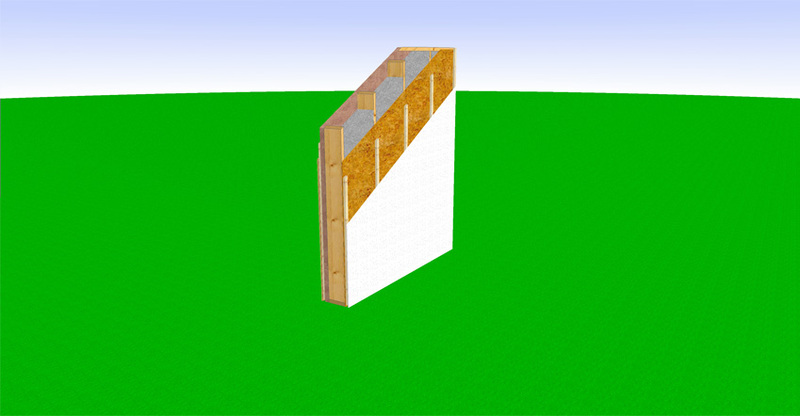 An insulator is placed in between the studs and plates allowing this technique to provide excellent acoustic and thermic performances. This wall is then covered indoor (plasterboard, panelling …) and outdoor (weatherboarding, panel, stone, brick, coating …). 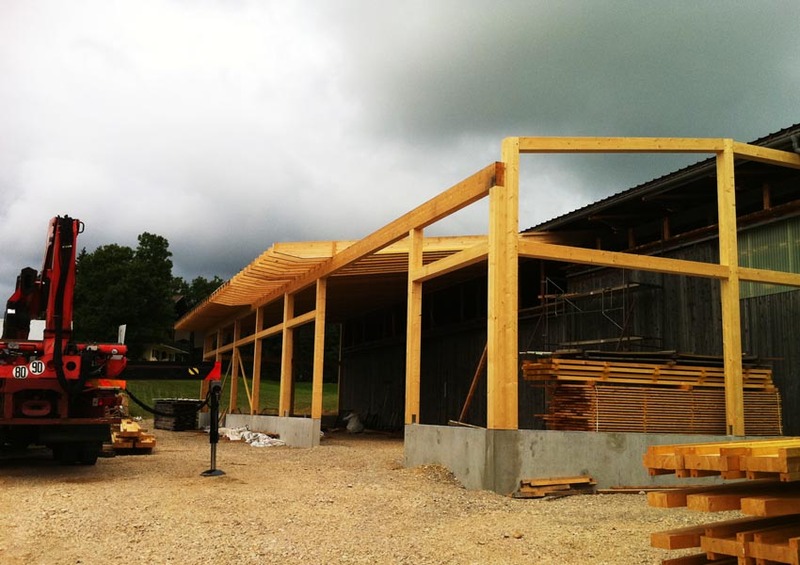 The “columns and beams” technique uses large section wood spaced from 1 to several meters from one another. Those columns and beams form the frame of the house allowing the creation of large spaces within which we can put large bay windows. 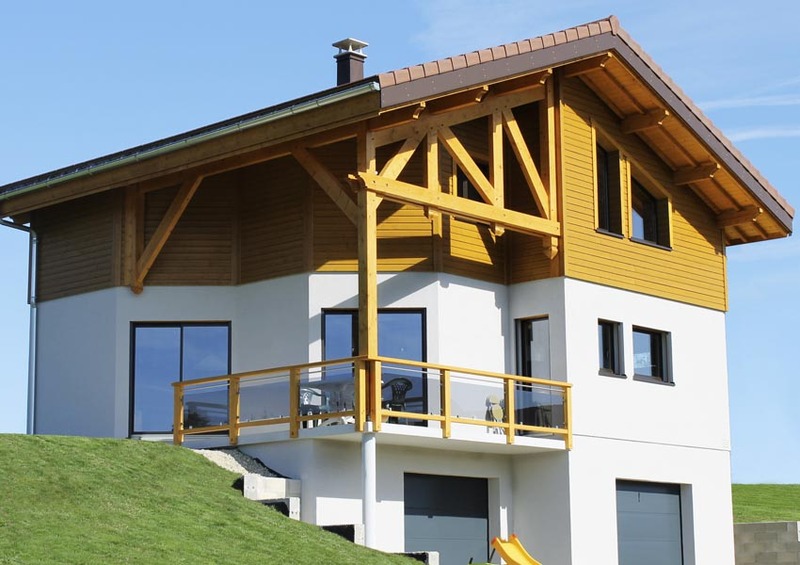 A lot of modern houses combine on one hand, a wooden frame to take advantage of its acoustic and thermal properties and, on the other hand, the columns and beams to have large volumes and openings. Copyright©2012 - All rights reserved - All drawings and photos on this site are the property of SARL Dumont-Fillon and can never be used without a written agreement.